Did you like the mini-casettes from Transformers when you were a kid? Well, now you can have a Transformer based off of modern technology, and the best part is the technology actually works! 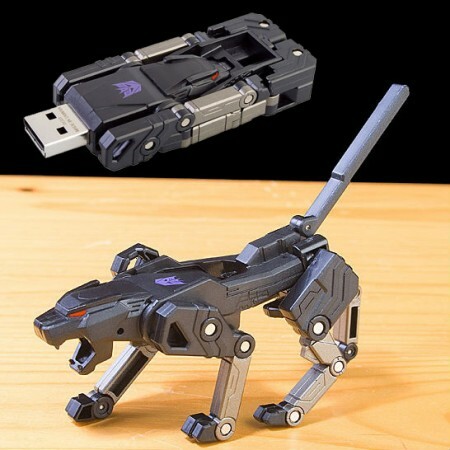 This is a 16GB USB flash drive that transforms into Ravage in seconds.